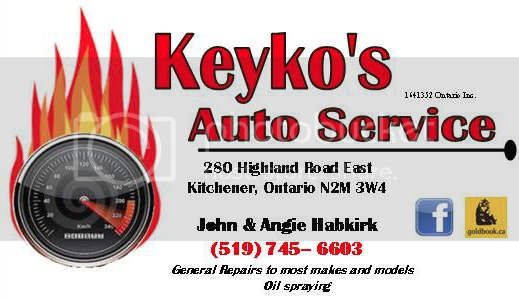 Since 1966, Keyko’s Auto Service in Kitchener has been providing affordable and trustworthy repairs and service to all vehicles. Keyko’s is known for their honesty. They fix only what needs fixing. If it is not required to be replaced, it won’t be! Keyko’s pride themselves on this – just ask many of thier loyal customers! Keyko’s is open from 8:30 am -5:30pm from Monday to Friday! Give them a call whenever your need auto service!